The following is the story of pup named Treya’s ordeal. 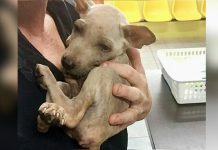 This poor pup’s destiny was so sad that it broke the hearts of her rescuers and everyone who came along her story into a million pieces. 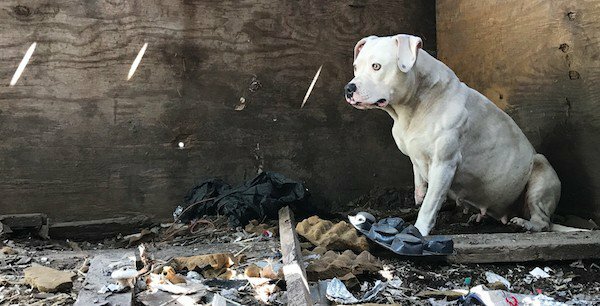 She used to have an owner who took good care of her, but sadly, after he was murdered five years ago, Treya was left all by herself, chained up under a deck. 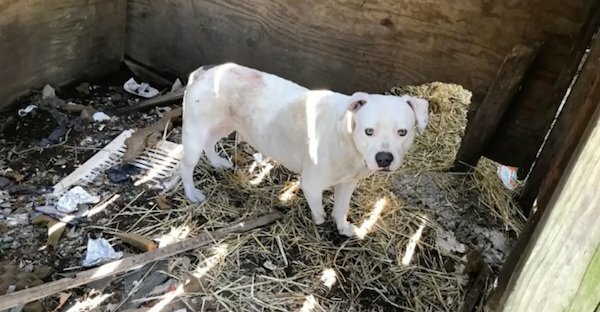 She survived for so long thanks to some of the neighbors who felt sorry for her and gave her food and water from time to time. The sight of the scared dog laying there was devastating for the rescuers from Stray Rescue St. Louis. The first thing the rescuers did after they arrived at the scene was free Treya from the chains. It was, however, beyond overwhelming for them to realize that she chewed through her foot once the chain became tightly wound around her paw. 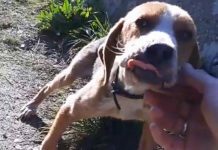 A girl named Dena Kehm Pedrotti wrote on the rescue organization’s page how the person who thought the dog needed to be taken off the streets and freed from the chains was her boyfriend. He simply couldn’t leave her there. The kind-hearted volunteers were ready to nurture Treya to health and give her new lease of life. Treya’s path towards her new life has just begun. 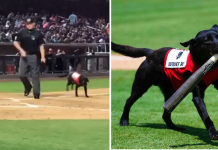 No one said it was going to be easy and everyone did their best to help this beautiful dog adjust to the new environment. Eventually, the volunteers came up with a brilliant idea. They thought it would be nice if they introduce Treya to another rescue dog who shared similar faith as her. 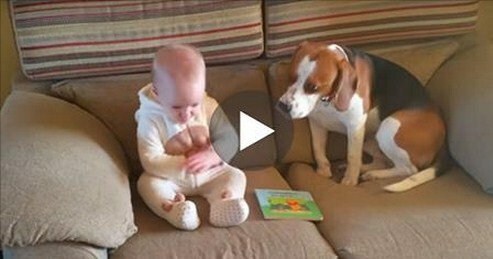 Once the two doggies laid eyes on each other, the staff knew they did just the right thing. Treya and Little Pinky quickly became best of friends. 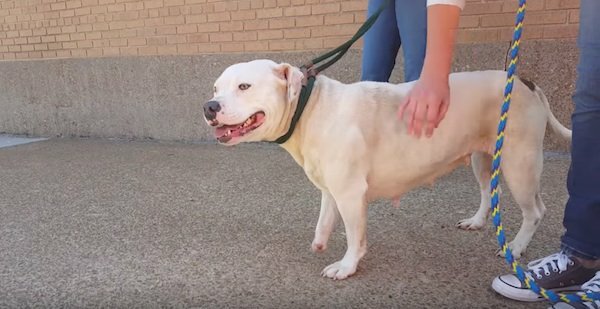 “Her nightmare is over and her new life is just beginning,” Stray Rescue said. This gorgeous girl is staying with a foster family while waiting for the forever one come across her path. 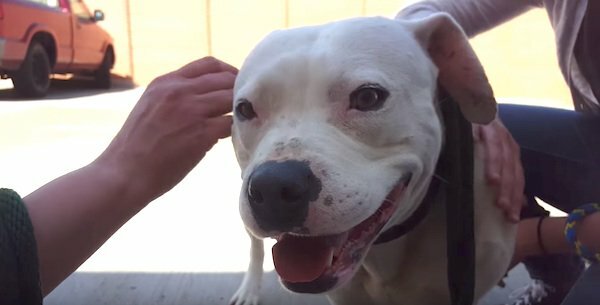 We really can’t wait for this amazing pup to get her happy ending. Thanks to the endless love towards animals, these volunteers and rescuers make it possible for cases like Treya’s to recover and regain their trust in the human kind. If you support their work and are interested to follow and help Treya’s progress, please visit Stray Rescue’s website.